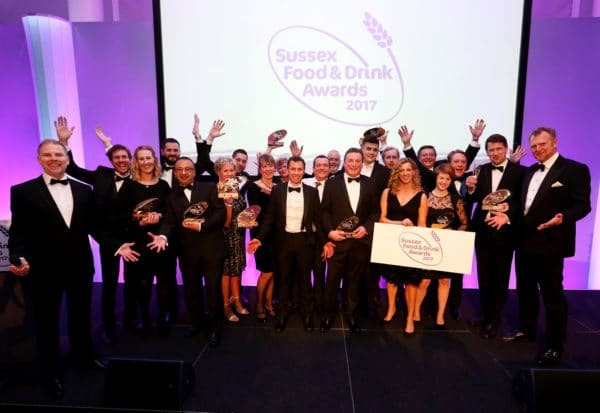 On Wednesday the 1st February, the 2017 Sussex Food Awards took place at Brighton’s AMEX stadium. 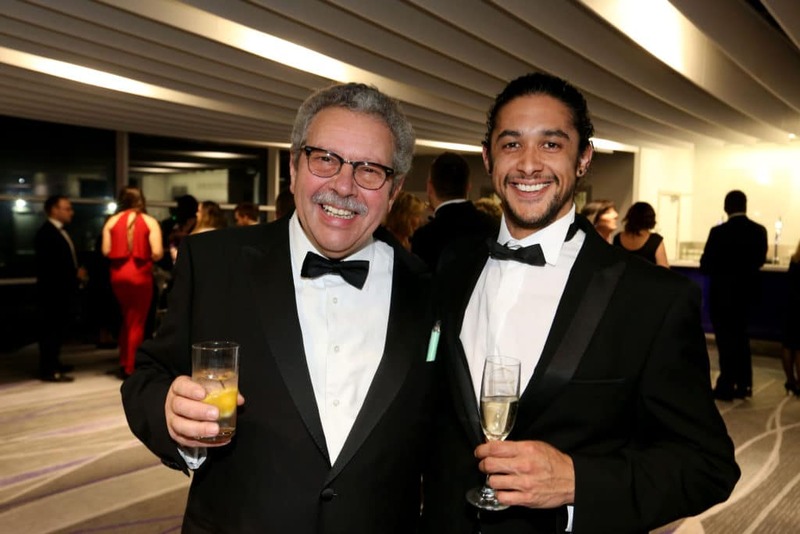 Now in their 11th year, the awards have been going from strength to strength with this year’s awards seeing record breaking numbers of public votes received. 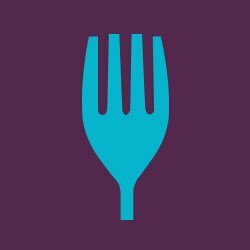 The awards have been championing food and drink producers, businesses and chefs from across the county, and rewarding them for all the hard work they put in throughout the year. 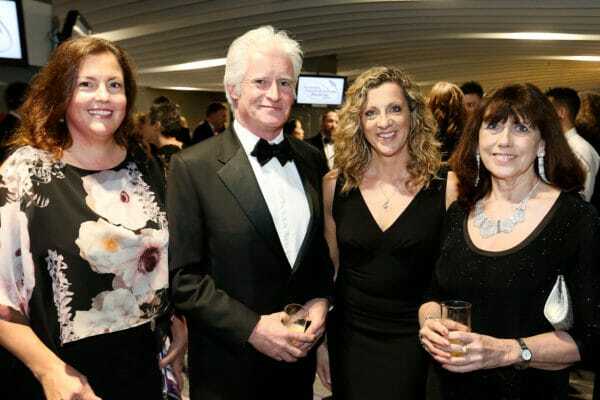 The awards are run by Natural Partnerships Community Interest Company (CIC), co-directed by Hilary Knight of Sussex Food and Drink Network and Paula Seager, Managing Director of Natural PR Ltd. 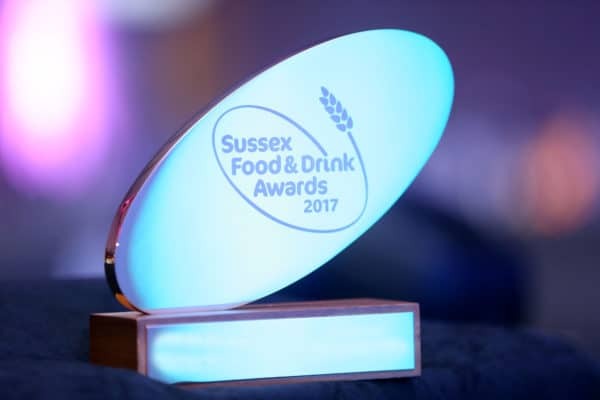 The awards are supported by a team of expert and independent judges who are guided by Sussex farmer and Nuffield scholar, William Goodwin. With the months of public voting and judging finally complete, it was time to announce the winners and runners up. 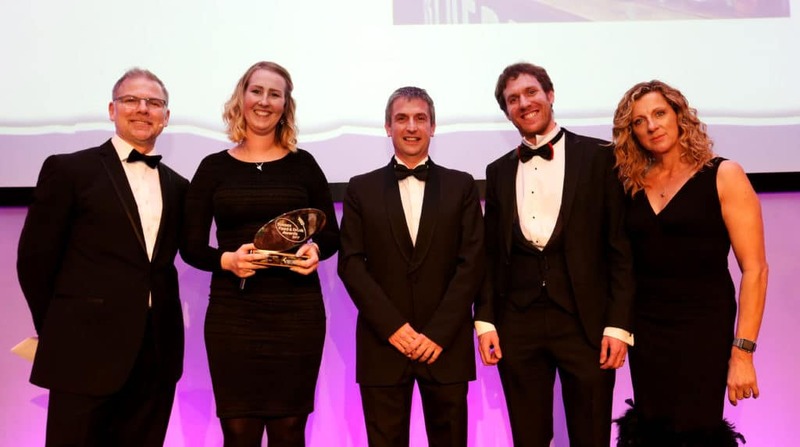 The awards night is one of the highlights of the culinary calendar and this year was no exception. 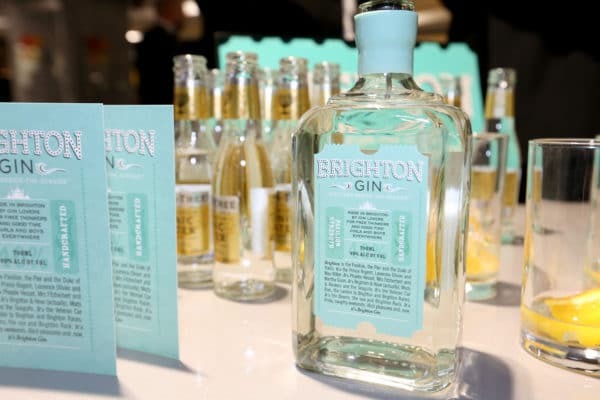 A champagne reception, bolstered this year by a Brighton Gin bar, greeted guests upon arrival. 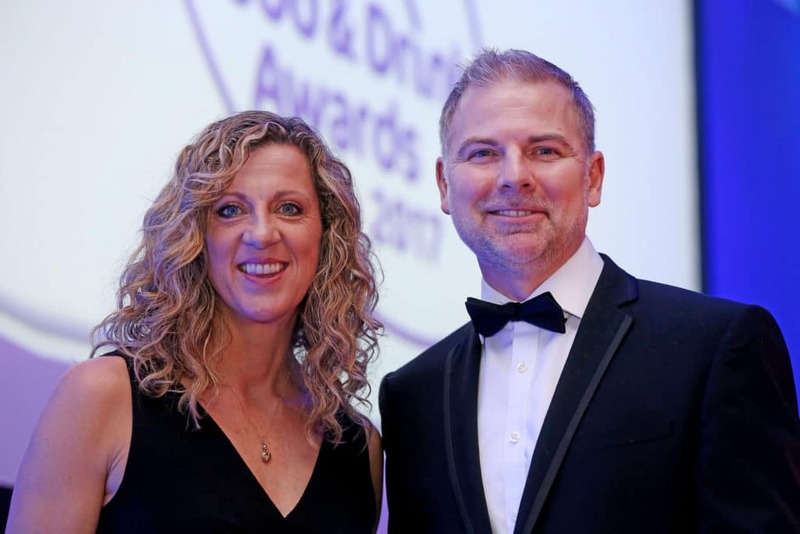 This was followed by a 7 course banquet prepared by the stadium caterers, Sodexo Prestige, utilising some of the produce from shortlisted producers from past and present years. 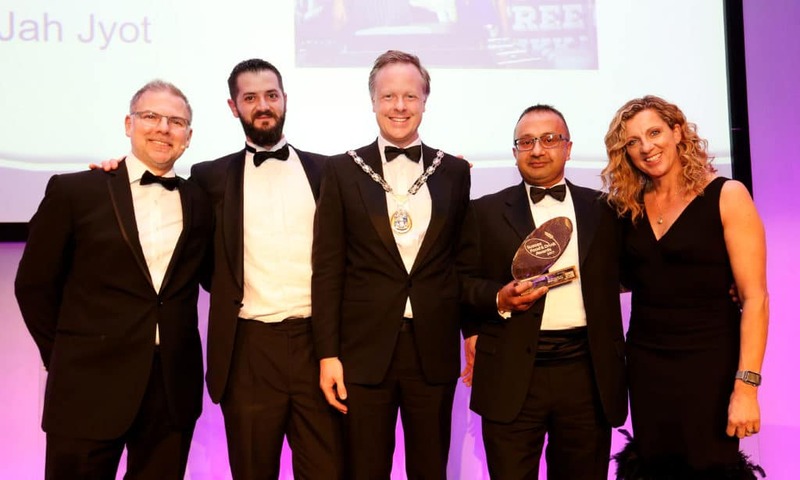 The evening was a fantastic success, and there were many jubilant winners and even a tear or two thanks to the speech of Street Food Vendor of the Year winner, Jah Jyot. Two years ago he was unhappy in a role as a sales manager and started the food business when one of his children pointed out that he should do something that makes him happy. Brighton’s Blue Bird Tea Co won newcomer of the year giving the city something to cheer about. Sussex Young Chef of the Year, sponsored by Sodexo Prestige with Guest Judge Matt Gillan.